This is beautiful! I love the black and blue color scheme...perfect for these photos! Love that banner :) Thanks for working out with us at ScrapFIT! WAUW.... what a beautiful layout. Everything matches very beautifully. The banner adds the finishing touch. Så kul denne var. Er helt enig med deg at vimpler er veldig tøffe, men har dessverre ikke greid å bruke det selv enda :-) Ha ei fin uke! I love all the little details! Terrific page!! 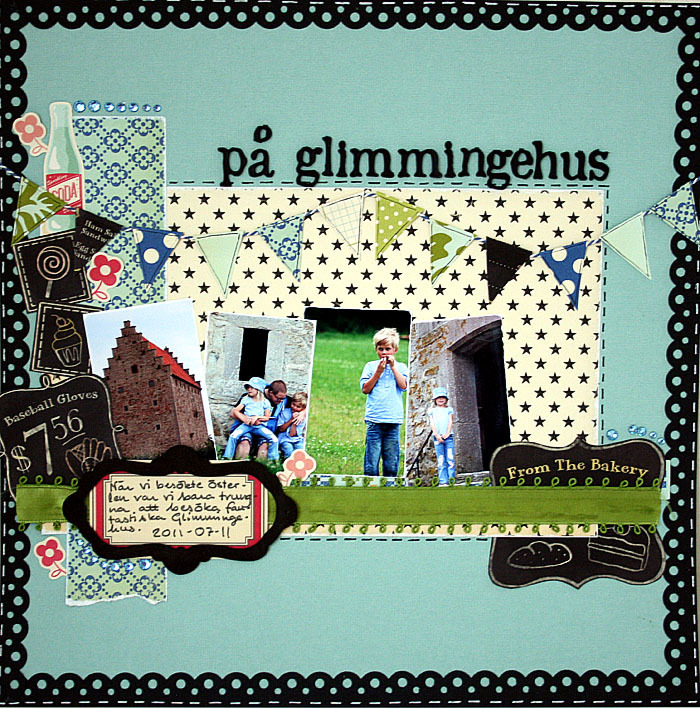 very pretty layout, love the border around it!!! thanks for joining the SF challenge. So beautiful! Thanks for playing along at ScrapFit! I love the contrast with the blue and black, wonderful LO! Thanks for playing along with us at ScrapFit!! I just adore your page, great job! Amazing photos! I love your colors and the banner is fabulous! THanks for working out with us at ScapFIT! Gorgeous colors and composition~thanks for playing along with ScrapFIT! oh wow!!! just love this page and what great colors and design!!! Way to work the banner!!! thanks sooo much for playin along with ScrapFit!!! !